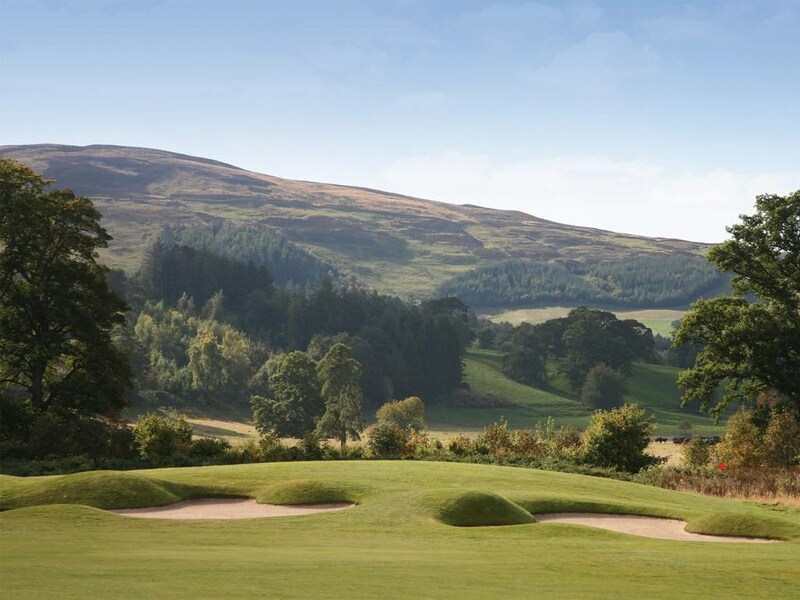 Situated in beautiful Scottish Borders countryside, the four star hotel is the perfect venue for your next leisure stay, golf outing, conference or event. 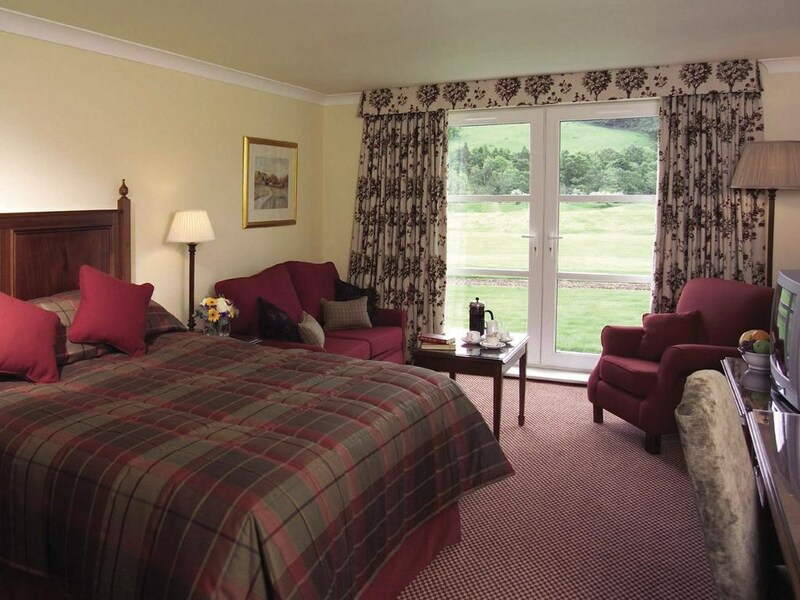 The bedrooms at Macdonald Cardrona Hotel, Golf & Spa all have blackout curtains for a good night’s sleep. 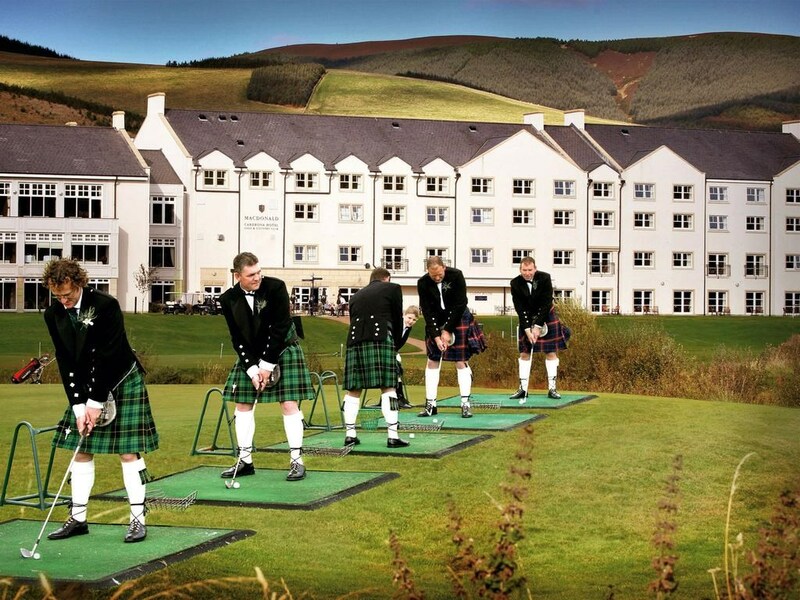 Guest can also enjoy views of the hills or the golf course as well as many facilities including tea and coffee. 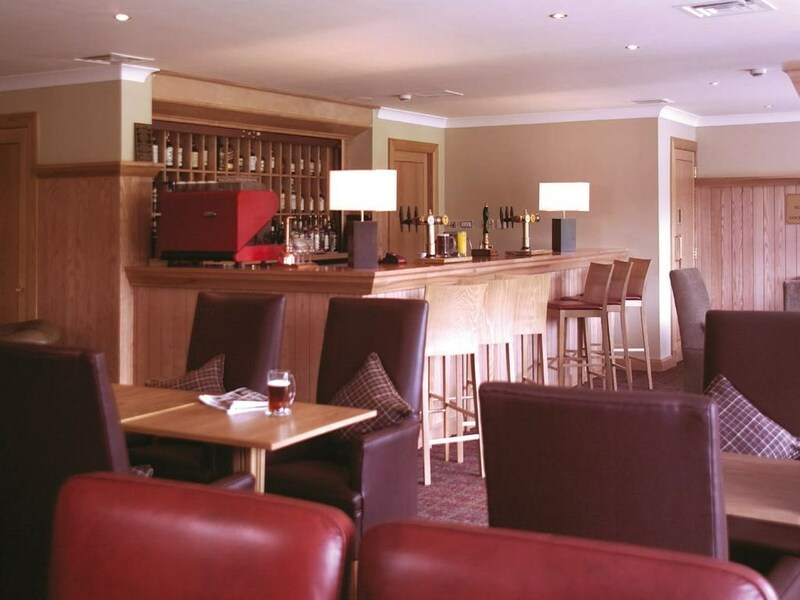 Renwicks Restaurant at Macdonald Cardrona Hotel, Golf & Spa offers fine dining and spectacular views over the golf course. 2 bars serving lighter meals are also available on site. 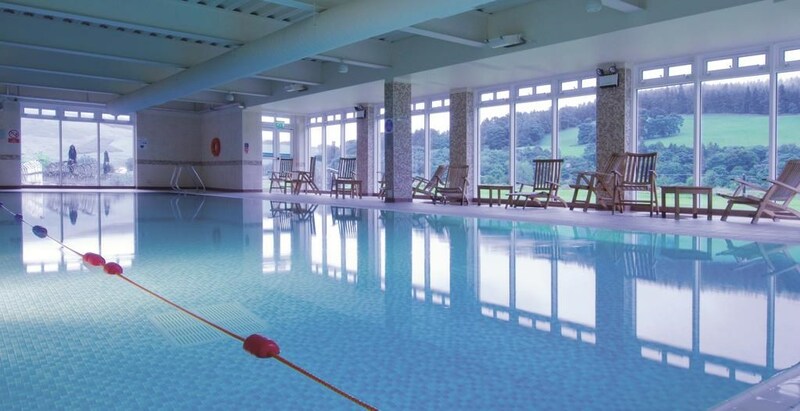 Guests can make the most of the hotel’s spa or use the health club, which has a sauna, a gym and a swimming pool. 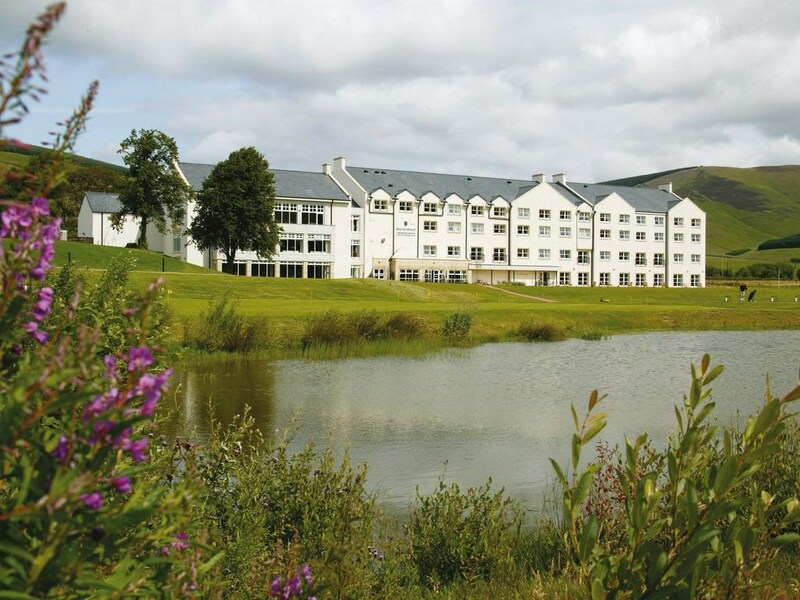 Other activities available at the Cardrona Hotel include golfing, fishing, shooting, canoeing and quad biking. 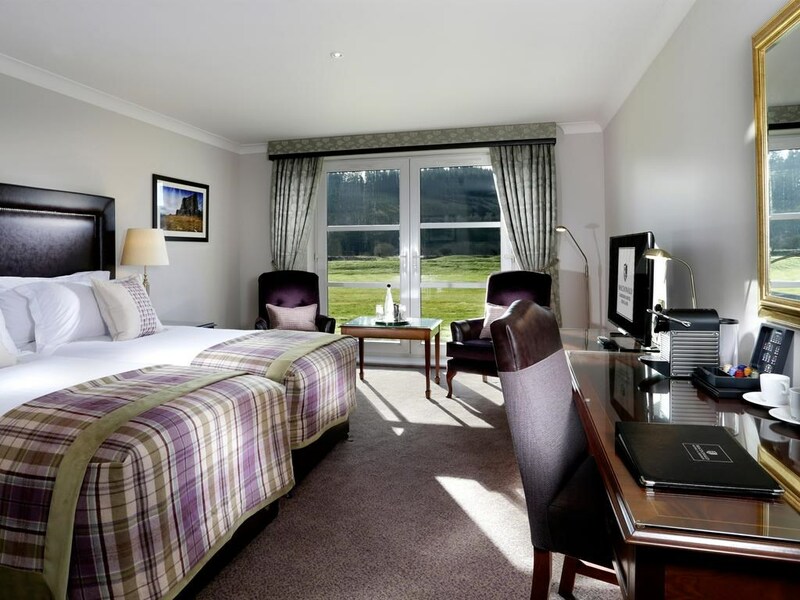 Edinburgh is a 40-minute drive away. 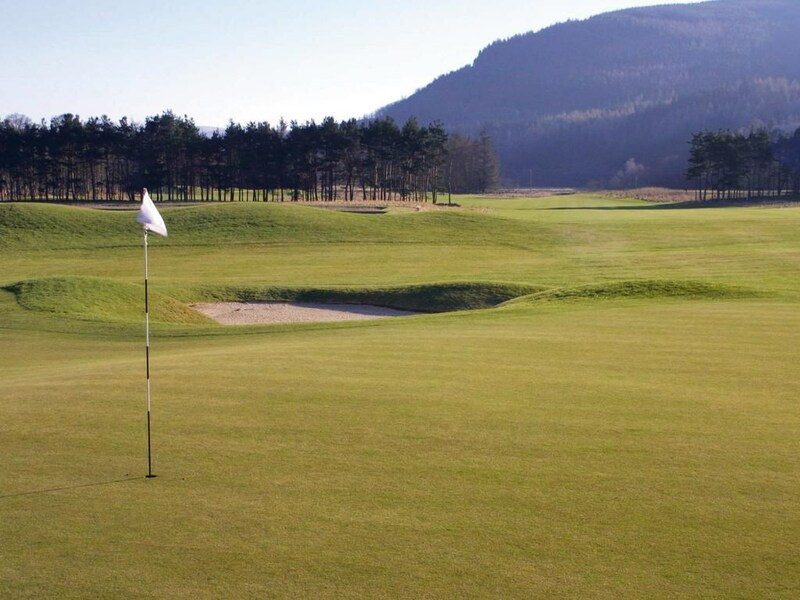 Designed by former Ryder Cup player Dave Thomas in 2001, the Par 72 parkand and woodland courses feature wide and undulating USGA greens and a distance of over 7000 yards from the medal tees. 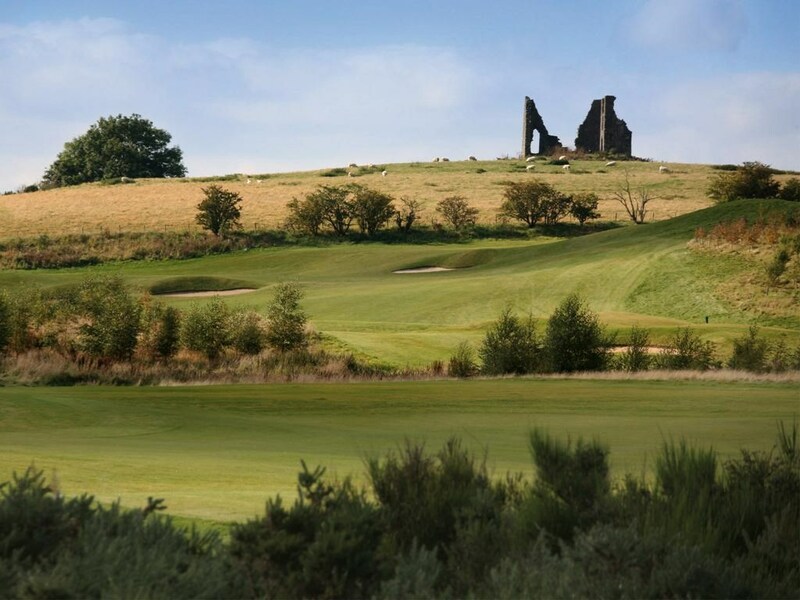 Their golf course is ideal for a golf break, corporate golf day or just a day out with friends. 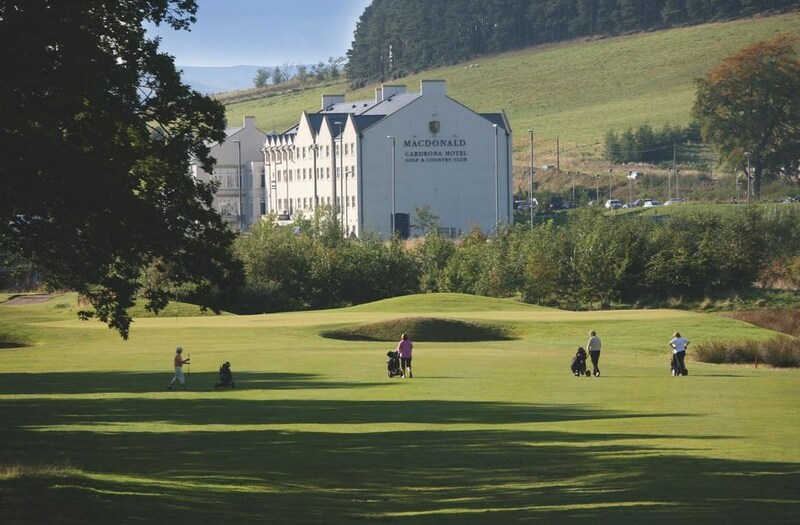 Cardrona is the perfect destination for a great golfing experience, enhanced further by the luxury facilities of the Macdonald Cardrona Hotel.